These LC12’s weigh 5 lbs and have an 12 inch capacity. 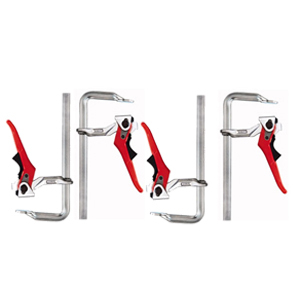 They are awesome but if this is your first time buying Bessey Clamps you might consider starting with the LC8’s. We are very happy to be able to offer these products through our store. So rather than buy them on Amazon, or somewhere else, we hope you will consider buying them from us. We can’t put every Bessey item in our VerySuperCool Tool store, but we DO have access to their ENTIRE line. 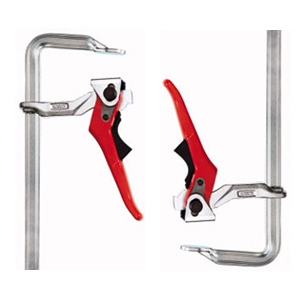 We can ship ANY item from Bessey’s complete line of woodworking and metal working clamps. Find what you want here: Bessey Tools Online Catalog and then email us and we’ll send you a quote. MADE IN GERMANY. Note: Some of the other Bessey Tools are made in China, these are NOT. 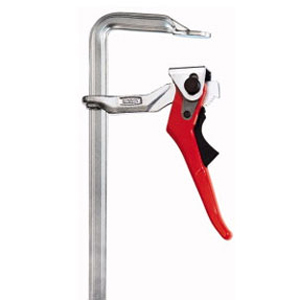 SHIPPING: This item drop ships direct from Bessey Tools in Chicago.